Luxury villas & vacation rentals with fantasiavillas.com help ensure that your vacation planning and efforts are moving in the same direction, so you can sit back, relax and enjoy your holiday the way it was meant to be. Selecting luxury villas & vacation rentals from fantasiavillas.com, you’ll be able to enjoy a wide range of concierge services, give your family and friends the pampering they deserve by using one of our many services, including massage and spa treatments. LUXURY VILLAS. Luxury villas from fantasiavillas.com allow you to discover the best villas around the world, using a combination of local knowledge from our villa experts and partnering with the right property owners. It makes your travel planning so much easier when you have someone who truly understands what you need. Luxury villas is a great way to spend your vacations with someone you care about, providing you complete intimacy, privacy and lasting memories that will benefit both you and your loved ones. It is impossible for us to manage a successful holiday without a strong focus on the right luxury villas. At fantasiavillas.com we strive to make you happy and your satisfaction is our number one priority. LUXURY VILLAS IN GREECE. Fantasiavillas.com helps you discover a larger number of popular Greek islands, explore historical sights, enjoy beautiful beaches, fine dining and understand what it takes to live your fantasy. With our large network of luxury villas in Greece, you will be able to combine your stay with one of our luxury villas in Mykonos and enjoy the breathtaking views of Santorini. Elia White Residence in Mykonos and Villa Fabrica in Santorini is a formidable combination. Elia White Residence offers a stunning view and a minimalistic design that gives you that Mykonian Island feeling. Situated in Elia Beach, Elia White Residence has access to one of the most beautiful beaches in the Aegean. Villa Fabrica will knock you off your feet; don’t pinch yourself you are not dreaming. Simply amazing! This luxury villa in Santorini offers an elegant style with a deep understanding for its traditional Santorini architecture. You will simply be charmed and mesmerized with villa Fabrica and Santorini, offering you the paradise experience. LUXURY VILLAS IN ITALY. Offering exclusive and personalized service our villa experts at fantasiavillas.com are specialized in helping you with making the right choice. Luxury villa rentals in Italy help you live elegant escapes, enjoy the beautiful panoramic views from your luxury villa in Amalfi, Villa Oliviero in Positano promises to offer you just that. Travel back in time in the 17th and 18th centuries and indulge yourself in one of Tuscany’s finest luxury villa, where you can lose yourself in the vast vineyards and taste some good wine, Tuscan bread and Pecorino cheese. Your luxury villa in Tuscany promises to help you experience Italy as it once was. Castello di Magona on the Etruscan coast and Castel Pietro are yours to discover. LUXURY VILLAS IN SPAIN. Fantasiavillas.com Luxury villas in Spain offer a wide range of amenities and services including pool, air-conditioning, private chef, housekeeping and airport transfers. When it comes to selecting the right luxury villa, travel destination and trip ideas, fantasia’s Luxury villas in Spain is the right choice for your travels. Situated in the heart of the Golden Mile in beautiful Marbella, experience true luxury at Villa La Ermita. This luxurious beachfront villa offers 14 fabulous bedrooms, heated 28meter swimming pool, private garden, a professional fitness/spa center and treatment room. This luxury villa in Marbella has direct access to the Casablanca beach from the pool area. Experience a luxury villa near Barcelona. Masia Pairal is a perfect escape for families and friends, only 30 minutes from Barcelona in the beautiful village of Sitges, Masia Pairal offers total relaxation in a calm area. Enjoy wine tasting; yoga and private catering are only but a few services that this luxury villa in Sitges has to offer. LUXURY VILLAS IN FRANCE. An unforgettable holiday involves many different aspects of your travel planning, starting with the destination, naturally. But other factors are also important, such as accommodation and trip ideas. Fantasiavillas.com offers a vacation rental solution for all those travel needs. Experience a luxury villa in France and enjoy winter holidays as well as summer holidays. Marmotte Mountain is the ideal choice for ski holidays. Located in a18th century village in Chamonix, one of the most popular ski destinations worldwide. Appreciate and feel the nature surrounding the ski chalet by relaxing in the luxurious outdoor hot tub. If summer holidays are more your cup of tea, you may want to consider Villa Mauresque or Villa St-Maxime both luxury villas in Provence promise to please the most discerning traveller. Villa Mauresque located near Saint Tropez and Cannes is an impressive seafront historical villa with rich architecture considered to be a masterpiece. While Villa St-Maxime offers a modern feel of architecture, you will enjoy the prime location of this luxury villa, as it is only a heartbeat away from shops and restaurants. The art connoisseurs will surely appreciate the town of St. Paul de Vence, highlighting the world renowned Maeght Foundation. BALI LUXURY VILLAS. Fantasiavillas.com is a global leader in Luxury villas and Vacation rentals whose expertise in client relationship is vital in bringing you the human element in your holiday enquiries. There is probably, no better travel destination than Bali when it comes to Zen holidays. The Balinese smile is contagious! Experience firsthand, this honeymoon destination and discover the new meaning of friendship. The splendid waterfalls, the luscious green monkey forest, the temples and amazing beaches are only but a few things to discover. A Luxury villas in Bali is a smart way to explore this wonderful country. The minimalistic design, the sights and sounds and peaceful feeling is something that stays with you forever. LUXURY VILLAS IN THAILAND. With luxury villas solutions like Thailand villas, your vacation Rentals planning are effortless. Whether you are planning to visit Koh Samui or Phuket, fantasiavillas.com has a solution for every traveller and helps you bring your holiday to a whole new level. Villa Zamani part of Phuket villas and Miskawaan Villas part of Koh Samui villas offer the completion of a paradise setting, beautiful scenery, crystal clear waters and azure blue skies. Spend the day relaxing on the beach or simply lounge by the pool. The luxury villa experience in Thailand will bring you the tranquility and Zen like holiday you are searching for. LUXURY VILLAS IN MEXICO. Luxury villas in Mexico from fantasiavillas.com allow you to have a taste of true paradise. Whether you select a Los Cabos villa or a villa in the Mexican Riviera, you will have a sense of splendour. Casa Tres Soles, this fantastic property has uninterrupted views from 3 sides. Simply one of the best Punta Mita and Mexico has to offer. This fabulous seafront property gives you the traveller a magical feeling since this luxury villa is surrounded by Blue waters and by a lush tropical forest. Discover Los Cabos and Casa La Laguna, yet another luxurious beachfront home, from our portfolio that offers tranquility with your loved ones. CARIBBEAN LUXURY VILLAS. The Caribbean Luxury villas portfolio from fantasiavillas.com is made up of more than fifty villas including private islands. Each villa is different as they inherit their own island identity. Some islands like Turks and Caicos bring a sense of tranquility and awe with its turquoise waters and white coral beaches, while islands like Barbados are renowned for lush green hills and coral reefs making it ideal for snorkeling and trekking in areas that travellers never explore. If you are looking for the ultimate privacy and luxury experience, Calivigny Private Island will whisk you away to paradise. While the famous Cove Spring House is a luxury villa that aims to please with an abundance of activities it has to offer. Whatever your choice in travels, fantasiavillas.com has the solution for the perfect Caribbean luxury villa. Luxury Villa Rentals – Luxury villa rentals from FantasiaVillas.com. Experience villas in Greece, Italy, France, Spain and the Caribbean. Vacation Rentals Italy – Explore our Italy luxury villas. Wine tasting in Tuscany and sightseeing in picturesque Amalfi. Vacation Rentals Greece – Discover Greece luxury villas. Breathtaking views in Santorini and amazing beaches in Mykonos. Vacation Rentals Spain – Spain luxury villas are yours to discover. Experience Marbella villa rentals and live your fantasy in Barcelona. Vacation Rentals France – Live your dream in France. Rent a France luxury villa and explore Nice, Cannes and St Tropez. Bali Vacation Rentals – Rent a vacation villa in Bali and free your mind. Explore the temples and famous waterfalls. Vacation Rentals Thailand – Have your taste of paradise with Thailand luxury villas. Phuket and Koh Samui beaches are simply magical. Vacation Rentals Mexico – Experience Mexico luxury villas. Bathe in the sun in Los Cabos and windsurf in Cancun. Caribbean Vacation Rentals – Discover Caribbean luxury villas and enjoy the Caribbean lifestyle. Surfing in Barbados and swimming with the dolphins in Jamaica. 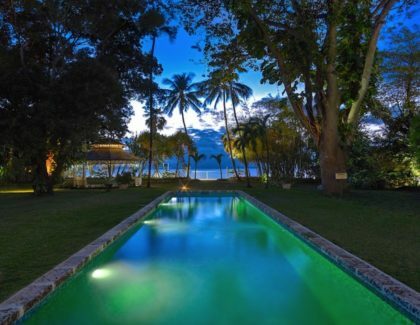 Costa Rica Vacation Rentals – Enjoy scuba diving in the crystal blue waters of your beachfront Costa Rica luxury villa. Private Island Vacation Rentals – Lose yourself in paradise for the best private moments and rent a private island in the Caribbean. Jamaica Villas – relax in the Caribbean by staying at one of the most astonishing Jamaica villas available at fantasiavillas.comFantasia Villas prend les meilleures parties de toutes les options de vacances et de les combinent en un seul unique, personnalisé, forfait mémorable. Une fois que vous avez eu un avant-goût de la location d’une villa de vacances, vous ne revenerez jamais aux hôtels et centres de villégiature. Locations de vacances de Fantasia Villas signifie plus pour nous que d’une simple sélection haut de gamme, propriétés exclusives. Nous allons au-delà de la cueillette à la main chaque villa et se pencher sur tous les aspects de chaque domaine afin de nous assurer répondre à vos demandes et préférences de la location de vacances le plus approprié. Nous représentons un portefeuille mondial de location de villas de luxe et locations de vacances. A partir de la Méditerranée aux îles privées dans la mer des Caraïbes et l’Océan Pacifique Sud. Фантазия Villas взять лучшее из всех вариантов отпуск и объединить их в один уникальный, индивидуальные, запоминающиеся пакет. Как только вы почувствовали вкус аренда виллы, вы никогда не вернетесь в отели и курорты. Роскошные виллы и Аренда вилл от Фантазия значит для нас больше, чем просто выбор высокого класса, эксклюзивные свойства. Мы выходим за пределы ручного выбора каждой виллы и взгляд на все аспекты каждой недвижимости, чтобы гарантировать, что мы соответствуют вашим запросам и предпочтениям с наиболее подходящими отпуск. Мы представляем глобальный портфель аренда роскошных вилл и шале. Из отелей по всему Средиземному морю частных островов в Карибском море и Южной части Тихого океана. Boasting stunning views of the Mediterranean, Gibraltar and the African coast, this villa has been designed to provide the ultimate in luxury whilst retaining the warmth and relaxing atmosphere of the Costa del Region. Located in the Aleomandra area overlooking the island of Delos with its colorful sunsets. The architectural style of the villa is the perfect combination of modern and traditional styles of the island of Mykonos.